Mentoring is an effective way to boost employee retention. According to the Association for Talent Development, 77 percent of companies that implemented mentoring programs reported that they were successful in increasing employee retention. In addition, 35 percent of employees who do not receive regular mentoring after a period of 12 months reported that they were more likely to look for another job. A mentoring program not only can boost employee retention but also help your company prepare employees for senior roles and increase productivity levels. 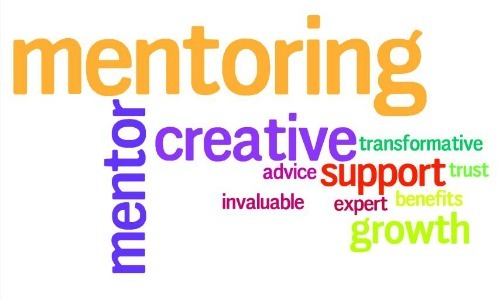 The resource guide “How to Build a Successful Mentoring Program” provides practical tips for developing and implementing both one-on-one and group mentoring programs. The guide shows companies how to lay the groundwork for the mentoring program, launch the program, train participants, build relationships, assess progress and evaluate the program’s effectiveness. With many options available to you, getting started is fairly simple…. Regardless of the program type or option(s) you settle on, remember to align it closely with Firm goals and objectives…and keep employees accountable for participating and achieving those goals. Make it measurable and attainable…make it yours. This MBA@UNC resource guide draws on the expertise of faculty from UNC Kenan-Flagler Business School. Poets & Quants ranks Kenan-Flagler No. 4 in the country for best MBA teaching faculty. In addition, the school is ranked No. 7 in the country for leadership development by Bloomberg Businessweek. If you are interested in learning more about launching a mentoring program, check out the in-depth action steps in this guide.